Description: Jean-Jacques Cartier, the nephew of Cartier’s founder Louis, ran Cartier London after WWII. He frequently relied on Huntsman for his sartorial elegance, a favour that was returned by the many Huntsman clients who have sported Cartier watches and accessories. 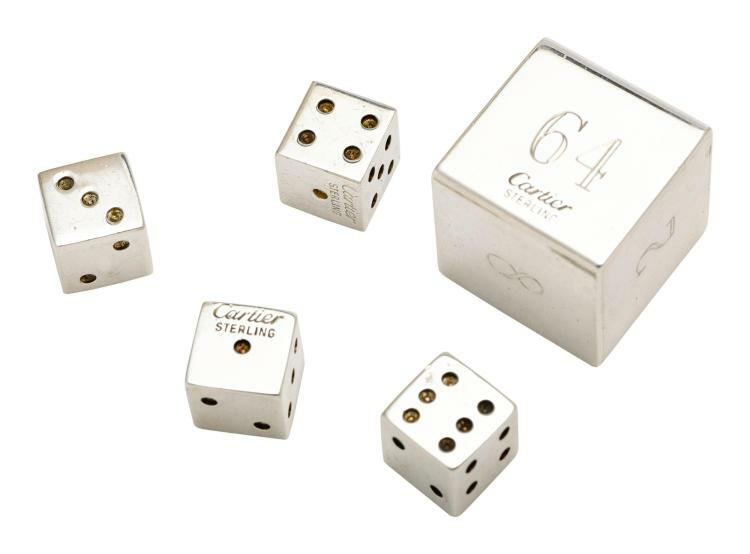 For this auction, Huntsman has curated a selection of vintage Cartier pieces, such as this set of engraved sterling silver backgammon dice. The weight of the silver makes those elegant dice feel satisfyingly good to throw.